So I thought I'd reflect on the game jam this weekend; a postmortem of sorts. I'd been anticipating this jam for some time. I'm a huge fan of Mark's work in his Game Maker's Toolkit series and the chance to apply some of the theories outlined in his videos in a game jam was super appealing to me. Aside from the life stuff, my productivity took several hits in the form of a series of crashes in Construct 3. 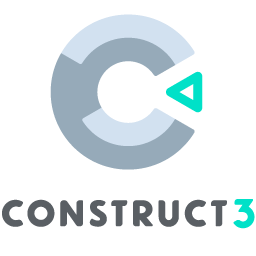 Don't get me wrong, Construct 3 is great, but with it being web based, you're at risk of a crash from both the editor and your web browser. I lost a lot of work during the jam. So much so, that I had to reduce the scope of the game. I like to think that I've got my CTRL + S game down, but I can't keep up with the crashes in this engine. Relentless. However, it's not all doom and gloom. Despite the life and technical problems, I still managed to deliver a game. And a rather polished one at that. The comments so far have been super positive, and I've had a couple of ratings. So here's hoping people like it. For this jam I wanted to tackle multiple AI types, and I almost achieved it (grunts and a boss). AI has always been a sticking point for me in the past - I'm glad I am starting to overcome that. I also wanted multiple weapon types, and while akimbo pistols and shotguns were ready to go, there simply wasn't enough game to include them (and fix any bugs related to them). Shame. I've never done player controlled slow motion before. I'm happy with the implementation, but it could certainly use some wind up/wind down. Maybe next time. I did work out doors though. I'm pretty happy with those! Anyway, if you've read this far, you probably realise I'm my own worst critic. So if you'd like to help me out, give it a try and if you liked it, why not rate it and leave a comment? Oh and I also silently fixed the browser issues people were having with the game... and I'll hold off on any more bug fixes or features until the end of the voting period.